Beauty may be skin deep, but the sleek functionality of our Custom Bigcommerce template designs goes clear to the bone. 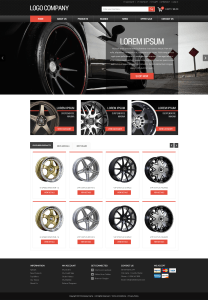 At 1Digital Agency, we offer custom templates, compatible with Bigcommerce, that will give your web store a custom designed look, without the custom designed price tag. The fantastic work that our Bigcommerce web designers have done is just a part of what makes 1Digital a top rated eCommerce agency, but it’s a part we want to celebrate. 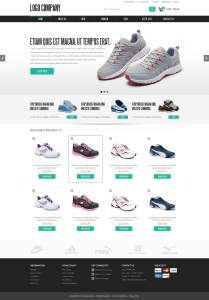 So take a moment, and check out our top 5 Bigcommerce template designs, listed below. While you’re at it, why not browse the rest of our premium custom templates? Sanders acts as a straightforward, minimalist frame for products that speak for themselves. The splashes of color on necessary navigation tools make Sanders one of the most highly useable templates out there. If you’re the type that knows that a little goes a long way when it comes to design, Sanders is the custom template for you. In Italian, Azzimato means well groomed. That’s the spruced up, old-world charm that this template radiates. Every detail is to be luxuriated upon, from the long serif font; to the fact that ‘my cart’ is replaced with ‘my bag’. For customers that expect the best, and except no substitutes, Azzimato is the clear choice. If you’re looking for an aesthetic that hangs on to Azzimato’s high-class style, but feel’s a little more rugged, you’re looking for Larsen. The modern font, combined with the earth tone color scheme, creates a template that speaks to the experience of modern, urban life. Use Larsen to showcase items that are of such high quality, that they can be used everyday. Got a product that takes a pretty picture? Show it off with Industire. Industire has a pop sensibility that let’s the products do the talking with a homepage that works like a gallery opening. If you believe that a picture is worth a thousand words, Industire is the way to go. The red and black color scheme of Luxe is in your face, bordering on aggressive. Luxe doesn’t mess around or dilly-dally. It’s driving right to the checkout page. If your products have the power to sink their teeth into customers, Luxe will give them all the opportunity they need. Whether you’re just opening your eCommerce store, or putting a new façade on your old one, 1Digtial can offer you a template that complements your products perfectly. Our Bigcommerce Template designs will give your web store a custom designed profile, without the associated cost. If you decide that total customization is required to bring your vision to life, our Bigcommerce developers can create a site from scratch. Whether it’s front end sleekness, or back end functionality, we can tailor make every feature you need. If you’ve liked any of the above designs, you can peruse the rest of our custom templates right here. Also, don’t hesitate to give us a call to get an expert opinion on designing your eCommerce website. 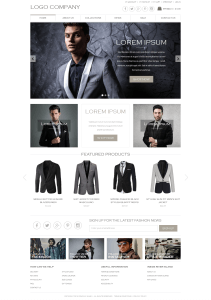 The post 5 Best Bigcommerce Template Designs appeared first on 1Digital®.